Magic YoYo are a high-quality, but low-budget outfit from China that make superb value-for-money yoyos that are great for anyone wanting a fun full-metal throw! The Magic YoYo SKYVA is the result of a new collaboration between YoYo designer Jeffrey Pang, an..
Magic YoYo's second bi-metal yoyo is even better than the first! The Stealth (M04)..
Ahoy there Captain! 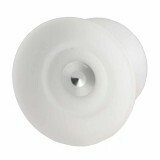 Magic YoYo has released their first offstring (4A) yoyo, called the T1 Capta.. 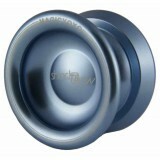 The Magic YoYo T5 Overlord is a good-quality, low-budget, unresponsive aluminium yoyo. It featur.. 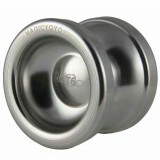 The Magic YoYo T6 Rainbow is an undersized diameter but wide, low-budget, unresponsive aluminium.. The Magic YoYo T8 Shadow is an narrow (width), but wide diameter, low-budget, unresponsive alumi..
New from Magic YoYo is the T9 - the first Magic YoYo designed to be both responsive and unrespon.. Need a competition yo-yo that won’t break the bank? Magicyoyo and Australian National Yoyo Champ.. So, you want to buy someone an advanced yoyo, but not sure where to start? How about buy them a .. Available Colours: So, you want to buy someone a yoyo, but not sure where to start?..